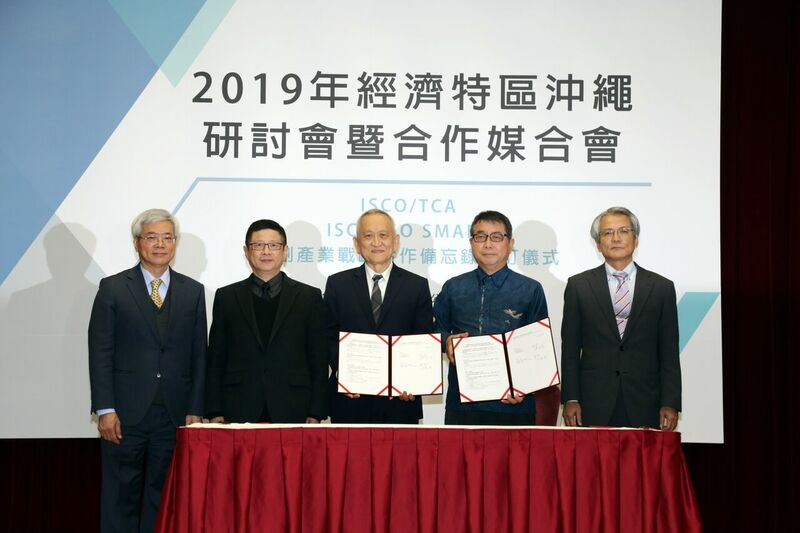 In an effort to improve cooperation opportunities between the Special Economic Zone Okinawa and Taiwan’s ICT industry, ISCO (IT Innovation and Strategy Center Okinawa) signed an MOU with TCA (Taipei Computer Association) and GO SMART (Global Organization of Smart Cities); an initiative sponsored by the Taipei City Government. The Secretary General of TCA, Mr. Enoch Du said in his speech that TCA is an ICT industry association with over 4,000 members. By signing this MOU with ISCO, it is hoped that the industrial strengths of both regions can be enhanced. In addition, by leveraging the geographic proximity of Taiwan and Okinawa, along with the beneficial policies of the Special Economic Zone Okinawa; it will be easier for startups to build on AI developments, IoT applications, and more. This will further help the startups for their international market expansion. Mr. Du also pointed out that startups can benefit by joining the startup event organized by TCA: InnoVEX. In 2018, InnoVEX hosted nearly 400 startups from 21 countries and was joined by close to 18,000 visitors. In 2019, InnoVEX will move to a bigger venue and its scale will be further expanded. In total, 4 Taiwanese startups will join the Okinawa Startup Festa on January 25. TCA will bring Astra Cloud and USPACE Tech; while the National Chiao Tung university accelerator IAPS will bring ISPEC and MIFLY to participate. ISCO will then bring a delegation of Japanese companies and startups to COMPUTEX and InnoVEX to further strengthen the cooperation opportunities between Taiwan and Japan. Director of GO SMART, Dr. Chen-Yu Lee said that in recent years, smart cities have become an important project for national policies. As a result, the Taipei City Government has spared no effort in developing smart cities. 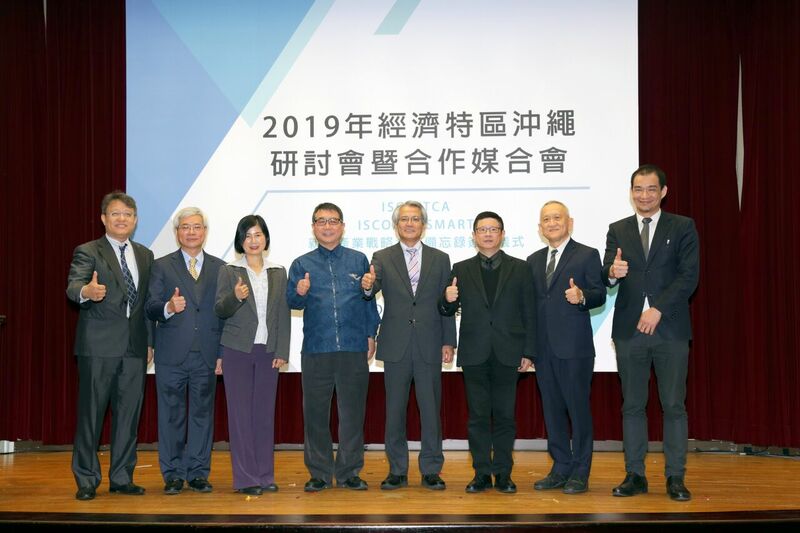 Since the establishment of the Taipei Smart City Project Management Office in 2016, many NGOs and startups have been invited to cooperate through a Private Public Partnership model and PoC (Proof of Concept) programs. So far there have been over 500 global ICT businesses working with more than 30 Taipei government bureaus. The result is more than 150 empirical PoC empirical projects which have gradually received international attentions and recognitions. Taipei City can be said to have made great achievements in the development of smart cities and become increasingly cooperative with cities around the world. In 2018, Taipei city launched a platform to share and exchange experiences with various cities in various countries: GO SMART. GO SMART aims to connect local governments, industries, and academic research/ legal entities; promote the multinational inter-city PoC programs; as well as to propose specific solutions for urban problems. Dr. Lee pointed out that Okinawa is the closest Japanese prefecture to Taiwan. With TCA facilitating the communication between GO SMART and ISCO, GO SMART can become more than just a network for Japanese companies to cooperate with Taiwanese companies; but can also connect other cities and industries in the world. Private companies and startups can also expand their businesses globally through GO SMART and enjoy great reductions in both cost and time for global expansion. The CPTPP (Comprehensive and Progressive Agreement for Trans Pacific Partnership) went into effect in late December 2018. The trade agreement which spans over 11 countries covers a total population of 500 million and the economies of the countries account for 13% of the global GDP. This new agreement effectively replaces the previous Trans-Pacific Partnership Agreement (TPP). Taiwan is not among the 11 signatory countries and therefore will still face tariffs when exporting to TPCPP countries. One way to circumvent this is by utilizing the Special Economic Zone Okinawa where the Japanese government is currently promoting the MIJ (Made in Japan) policy. By expanding to Okinawa & conduct further processing there, Taiwanese companies can obtain the MIJ stamp and export to CPTPP countries through Okinawa without paying the tariffs.